Yes! 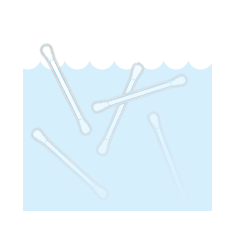 Consumer and the waste water treatment companies can stop cotton buds reaching the marine environment at all. If cotton buds continue to get into marine litter, we need to address what happens to them once they are at sea. 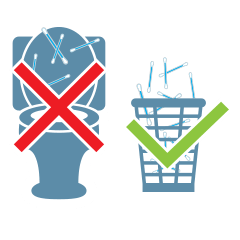 Concerted campaigns can encourage consumers to dispose of cotton buds and other sanitary waste in household rubbish, not down the toilet. The schemes have time limited success, with positive results during the campaign, but pollution returning to original levels afterwards. 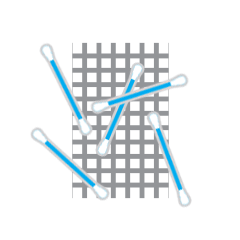 Even the finest sewage screen mesh sizes of 3mm do not retain all plastic cotton buds, whose diameters are about 2mm. Changing the 31,000 CSOs in the UK is financially and logistically untenable, letting plastic cotton buds enter the sea with untreated sewage. We do not want cotton buds to be disposed of in toilets. If they are flushed then making them out of a fully biodegradable material such as paper may make them settle out of the sewage before even reaching the sea. Once in the marine environment they degrade quite quickly.